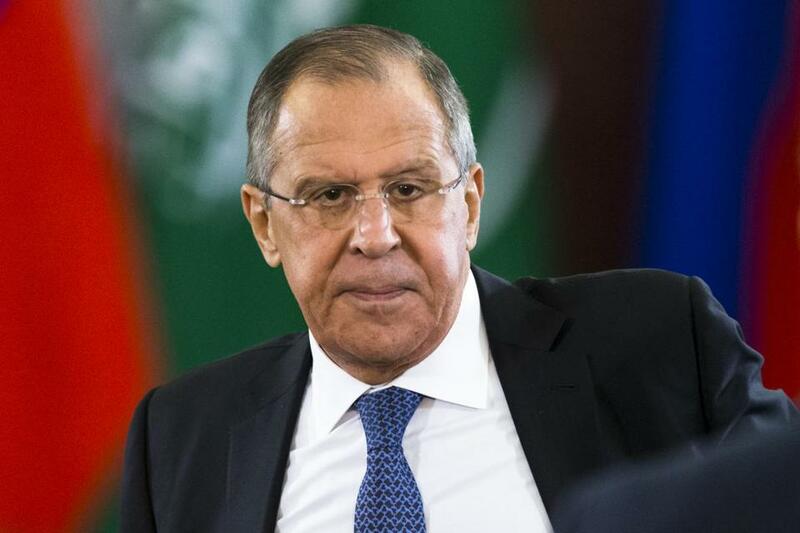 Russian Foreign Minister Sergey Lavrov. Nothing to see here. That’s the message from the Russians after the announcement of two indictments and a guilty plea related to Robert Mueller’s Trump-Russia investigation. Russian Foreign Minister Sergey Lavrov said Tuesday he saw nothing wrong with a former campaign adviser to President Donald Trump reaching out to a Kremlin-linked think tank. Court papers unsealed on Monday revealed that George Papadopoulos, who worked on the Trump campaign, had reached out to a Russian he believed to have links to the Russian foreign ministry to arrange a meeting between the Trump team and Russian officials. The Russian International Relations Council has confirmed contact with Papadopoulos, but said a meeting never took place. The council insisted that it was an independent advisory body and that it hosts many politicians at various public meetings. Asked about the man mentioned in the indictment, Lavrov told reporters that he did “not see anything illegal’’ in the interaction. Papadopoulos has pleaded guilty in the first criminal case connecting Trump’s team to alleged intermediaries for Russia’s government. Former campaign chairman Paul Manafort and his business associate Rick Gates were charged Monday with funneling payments from their political work in Ukraine through foreign companies and bank accounts. In July 2016, the FBI opened an investigation into the Russian government’s attempt to influence the election, including whether members of Trump’s campaign are involved. In May 2017, FBI Director James Comey was fired and Mueller was appointed as special counsel to probe Trump-Russia ties and anything else that might arise during the investigation. United States intelligence agencies have concluded that Russia used hacking and fake news to interfere in the 2016 presidential election and try to tip it to the Republican Trump, rather than his Democratic opponent Hillary Clinton. Peskov also says that connections between Papadopoulos and a man he believed to have links to the Russian Foreign Ministry did not prove any complicity by the Russian government. A senior Russian lawmaker said Monday the indictments of Manafort and Gates indicated that the probe into the alleged collusion between Trump campaign and Russia had failed. He said Mueller’s probe has been based on ‘‘fakes’’ and championed by those in the U.S. who want to oust Trump and loathe Russia.